We are very pleased and honoured to welcome you to the 2nd International Scientific Symposium on Healthy Ageing organized by the Institut Pasteur de Lille. In the near future, the extension of the lifespan will be one of the major challenges facing our societies. It concerns not only the Western countries but also the entire world where life expectancy is increasing very rapidly. This is therefore a major public health issue, but also socio-economic, political and human issues. Major civilization diseases, including disability will have to be increasingly taken into consideration. 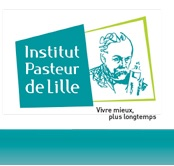 The Institut Pasteur de Lille, with its partners, decided to muster its forces around a Research Center on healthy ageing, the first one in France. Using a multidisciplinary approach, from genetics to public health, the overall objective is to identify risk factors for diseases associated with aging (Alzheimer's, cardiovascular disease, diabetes and metabolic diseases, cancer and infectious diseases which remain a leading cause of death after 65 years). Early prevention of the diseases related to age, before the onset of clinical symptoms, can significantly improve the quality of life and delay age-related disabilities. We hope that this symposium will stimulate exchanges and discussions between scientists from all over the world. Lille, cosmopolitan city at the crossroads of Europe, economic and cultural hub of the new region of "Hauts de France", welcomes you for two days of knowledge-sharing on the theme of longevity.